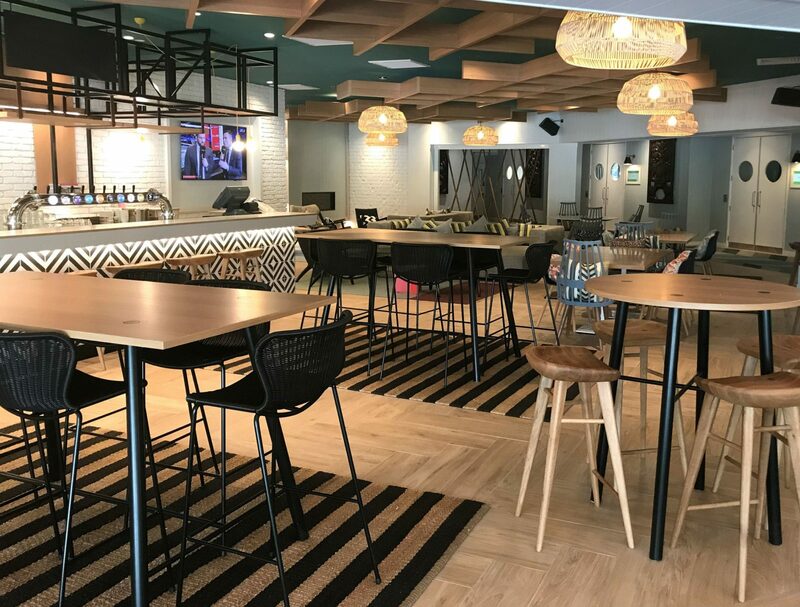 Queenstown’s premier lakefront hotel, Crowne Plaza Queenstown, has welcomed two passionate ‘foodies’ to its food and beverage operations. Chilean-born Alvaro Morales has been appointed Head Chef, while Colombian-born Juan Gomez takes the reins as F&B Manager. With culinary experience from across the globe, Alvaro is elated to step into the head chef role at threesixty restaurant, following his most recent sous chef position with a global hotel property in Taupo. Having worked for a number of international hotel chains in South America and Europe, he earlier honed his culinary skills working with renowned chefs Joan Roca and Albert Adrià while interning in three-star Michelin restaurants in Spain. His passion for delivering banquets stems from fond family memories of enjoying huge feasts with his family in the Chilean countryside. “Food is family, family is life, and life is family,” he said. “This is something my grandmother taught me and is still at the heart of my cooking style today. “Not only is Queenstown a paradise in which to live, it’s foodie heaven, and I’m so excited to be here. “Food is an integral part of a visitor’s holiday experience and I’m looking forward to creatively showcasing my Spanish heritage, made possible with the exceptional New Zealand ingredients on offer. For F&B Manager Juan, his desire to challenge himself and progress his career led him to Queenstown. Joining InterContinental Hotels Group (IHG) in 2012, Juan has spent the last five years working in InterContinental Wellington’s Lobby Lounge, working his way up from host to supervisor to managerial positions. His passion for drinks has naturally progressed into a love for exceptional food experiences, and he’s looking forward to being mentored by general manager Anna Edie. “I’m really inspired by Anna’s comprehensive international hotelier experience and look forward to working under her leadership,” he said. General Manager Anna Edie is “delighted” to welcome Alvaro and Juan to the property. 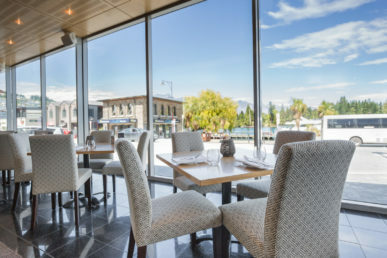 Conveniently located in the heart of Queenstown’s visitor, retail and business district, Crowne Plaza Queenstown’s ground-floor threesixty restaurant is the perfect place to sit back, relax and enjoy breakfast, lunch and dinner, High Tea, or a good coffee. Located in the heart of Queenstown with superb mountain and lake views, Crowne Plaza Queenstown offers a rejuvenating, friendly and enjoyable experience. As a 4+ Qualmark rated hotel, rooms provide a peaceful place to stay and are furnished in neutral tones. The chic bar area and award-winning threesixty restaurant enables you to connect with friends, family or colleagues in a modern and contemporary environment. With less than ten weeks until Queenstown’s award-winning light festival illuminates the night sky, the countdown is officially on. The LUMA Southern Light Project returns to Queenstown on Queen’s Birthday Weekend (June 1 – 4 2018) featuring a world light festival ‘first’ four evenings of illuminated art, light sculptures and entertainment. Over 35,000 people braved the cold last year to go on a sensory journey through the iconic Queenstown Gardens and buzzing lakefront. The free public event focuses on the transformation of space, public interaction, art, culture and education, made possible by curated collections of stunning light sculptures and thought-provoking installations. Visitors can expect to be dazzled by an array of interactive and unique light displays, each one designed to encourage them to engage with the art and the surrounding Queenstown landscape. Set within the picturesque Queenstown Gardens and waterfront, visitors can explore the illuminated winter wonderland with hot food in hand warming their fingers, as the art captivates their minds. 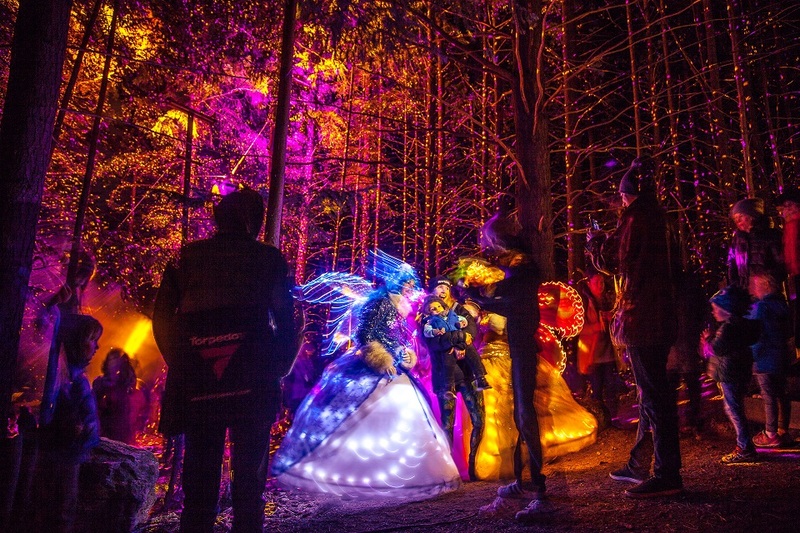 The ‘world festival first’ will see local and international artists collaborating on an instillation using over 90,000 individual light sources to turn trees in the Queenstown Gardens into an enchanted forest. Auckland artist Angus Muir is returning to LUMA as the principle light installation artist and is excited about the collaboration. Muir’s work will feature alongside creative art luminaries Jon Baxter, Puck Murphy and Nocturnal – Projection Mapping specialists, amongst many other local and national artists. Trust chairman Duncan Forsyth says enhancing and promoting the creative and cultural heart of Queenstown is at the core of everything LUMA represents. “LUMA 2018 promises to be the most innovative, immersive and interactive experience yet,” he says. “It’s set to be a thought-provoking experience for all ages and we’re delighted to bring the community together once again for our third instalment of the festival. “There really is something invigorating about connecting strangers on a dark and wintery evening through forms of light and music. The festival is run by a group of dedicated young Queenstown professionals who donate thousands of hours of their time to bringing the ‘life’ of the community back into the town centre. Their goal? To shine bright, opening an enlightening conversation and improving the creative landscape in Queenstown. Duncan says the event is only possible thanks to the loyal support of business partners and volunteers. “We’ve been so grateful for the event partners that contribute, through cash or cash in kind, to help cover our huge overheads in transporting artwork, creating installations, and projection set-ups,” says Duncan. LUMA Southern Light Project, and the LUMA Light Festival Trust are very proudly supported by local government event funding and partners from all over Queenstown and Otago.